Heart ring, Sterling Ring with Copper, Copper Ring, Silver heart ring, Copper heart ring, Hammered silver ring, Christmas ring for her. Christmas gift for her. Hearts. Silver ring. Wide silver ring. Home > Rings > Silver and Copper Heart Ring. Handmade Heart Ring. Silver Heart Ring. Valentine's Day Heart Ring. 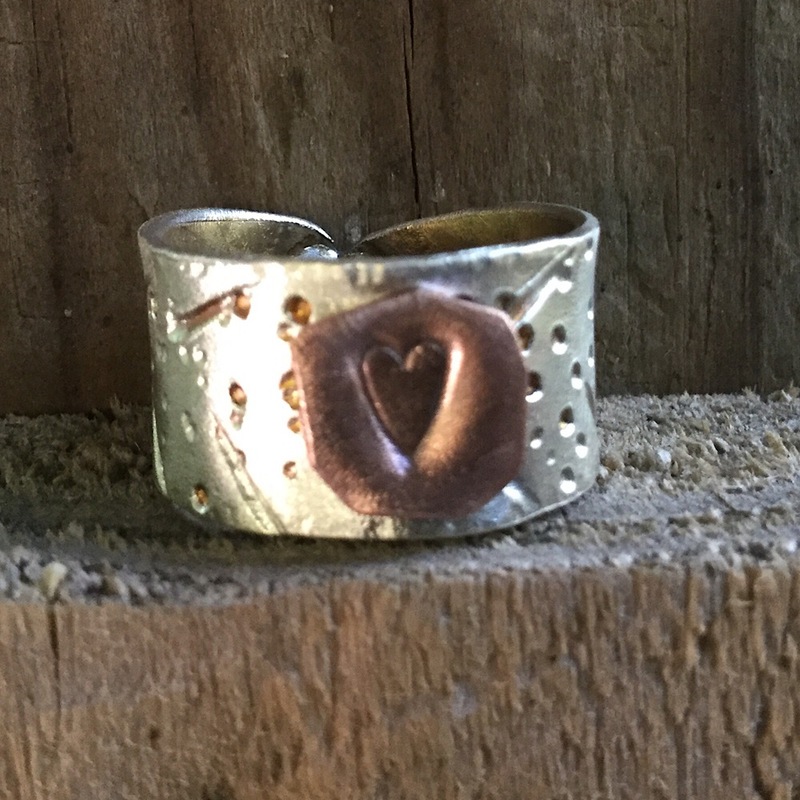 Sterling silver that has been cut and hammered to make a one of a kind ring with hammered copper with a etched heart. Available from size 5-11. This heart ring is handmade in the USA by The Fun Company.